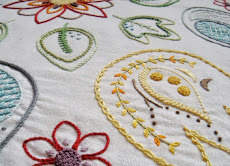 I started Materialistic in April 2008 on a whim, knowing only that I wanted to share my passion for needlework and in particular hand embroidery. I've come a long way since then. As my pattern business started and began to grow, it became somewhere I could showcase my new designs. 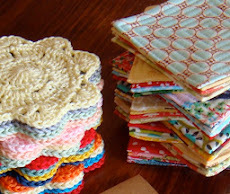 I put together a few stitch tutorials that I hope helped someone, somewhere. I shared the experience of my first time teaching at an embroidery festival on this blog. 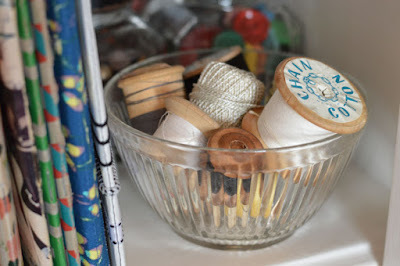 And I showed my vintage stitch book finds, gave away free designs and sometimes just rambled on about embroidery, sewing or crochet and life in general. But times change and the past few months since I finished putting together my book have been ones of reflection on where I'm at and how I'd like to move forward. 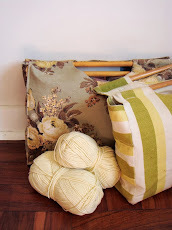 Mostly this involved thinking about how to streamline my online presence and how best to manage my time, which was part of the reason for wanting to simplify things. One of the outcomes of this line of thinking was a move away from my blog. There's always a bit of gut-wrenching involved in such a decision, but it feels like the right time to do it. 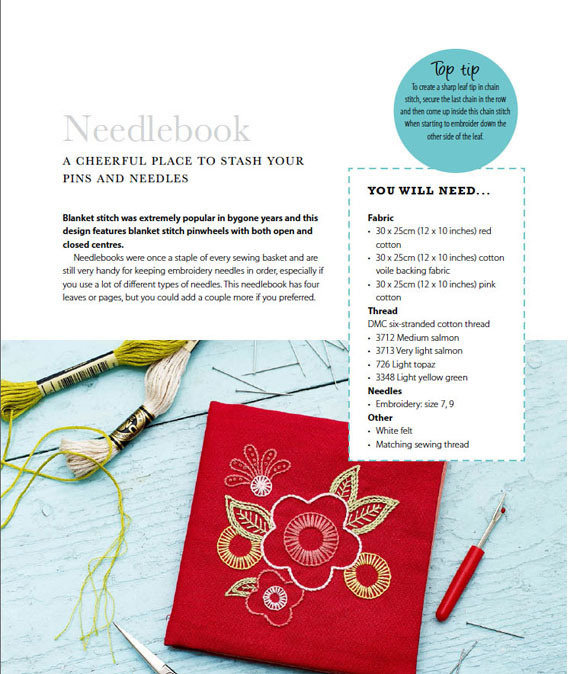 I'm not going to delete Materialistic either, as there are some decent posts here along with the Stitch Directory. 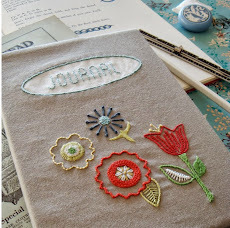 The good news is that instead of blogging, I've begun sending out a monthly newsletter, which you can subscribe to and read past editions of in the letter archive. It's a more personal and in-depth account of the goings-on behind the scenes. And I've created a news page on my new website where you'll find up-to-date info on patterns and projects. (If you use a news or feed reader, I've set up an RSS feed to make it easy for you to stay up to date with this news.) 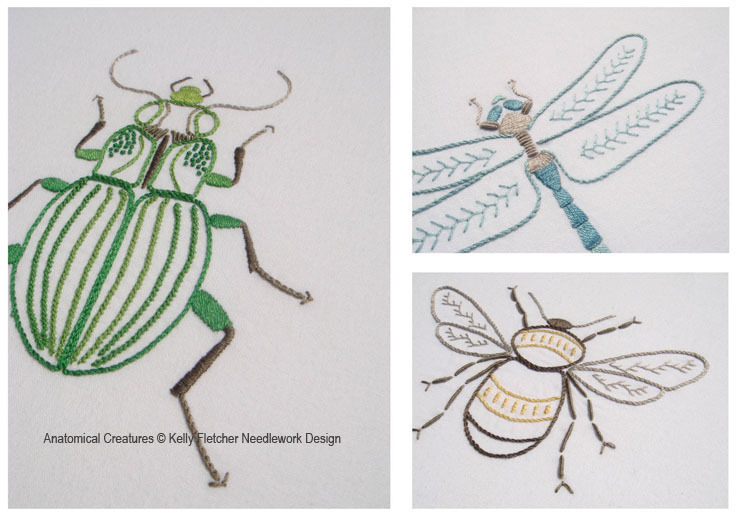 Otherwise you can follow/like Kelly Fletcher Needlework Design on Pinterest, Facebook and Twitter. And I've set up a Feedly feed reader account so I can easily keep following my favourite blogs that way. 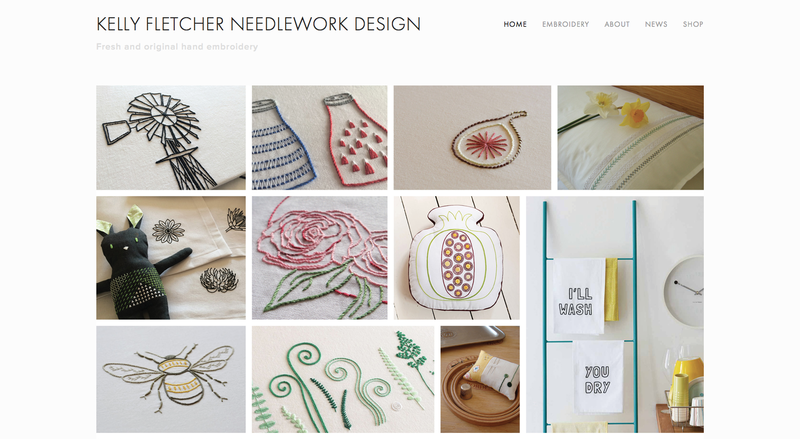 Hope to see you over on the new site. 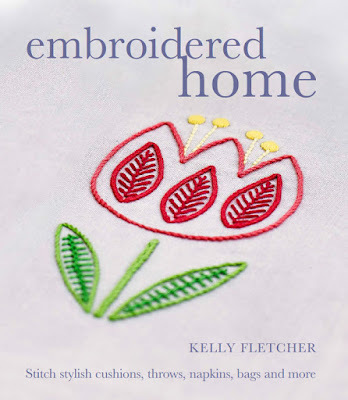 Embroidered Home: My book is out! 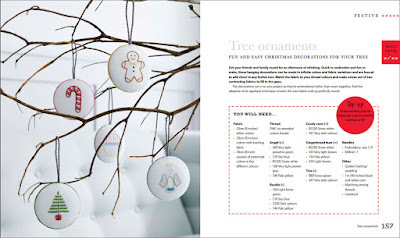 Themed chapters offer projects to suit various home decorating styles – from contemporary to bold Scandi-inspired, floral to modern country, coastal to vintage – ending with a festive chapter for seasonal decorating. 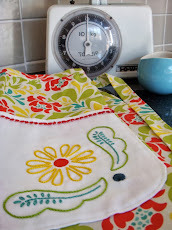 There are more than 35 different items to make: cushion covers, placemats, a quilted throw, apron, tablet and e-reader covers, a gardening tool roll, cosmetic bag, Christmas stocking and star garland, a beach bag, embroidered wall art... and a fair bit more. The sewing instructions are given in full and there are extra embroidery designs at the end of each chapter so you can modify the projects to suit your taste. 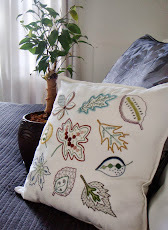 Embroidered Home is packed with projects and designs, making it really good value for money. And although the items are centred on the home, they make great gifts and items with which to spoil yourself, too. 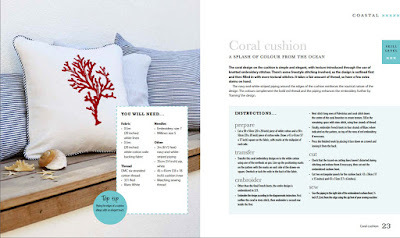 Of course, many thanks must go to editor Tara O'Sullivan, photographer Vanessa Davies (who also owns Hoop Haberdashery in Kent, UK), stylist Polly Webb-Wilson and layout designer Heidi Baker for all their hard hands-on work, as well as the rest of the team from Kyle Books involved in putting Embroidered Home together. 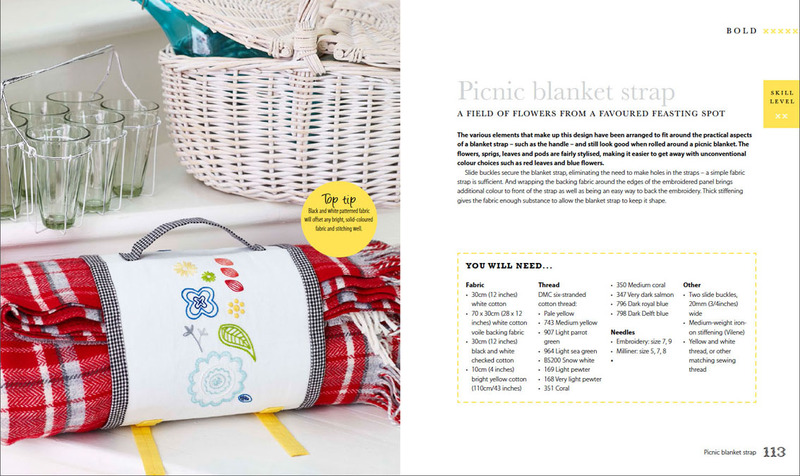 It’s no mean feat to create a book and couldn’t have been done without the help of many. 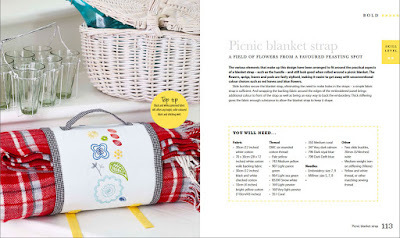 For more tasters of what’s inside the book, go to the Kyle Books or Amazon UK websites for previews of additional pages. And if Embroidered Home appeals to you, it's available to order online or you can get hold of a copy in-store at all major booksellers. 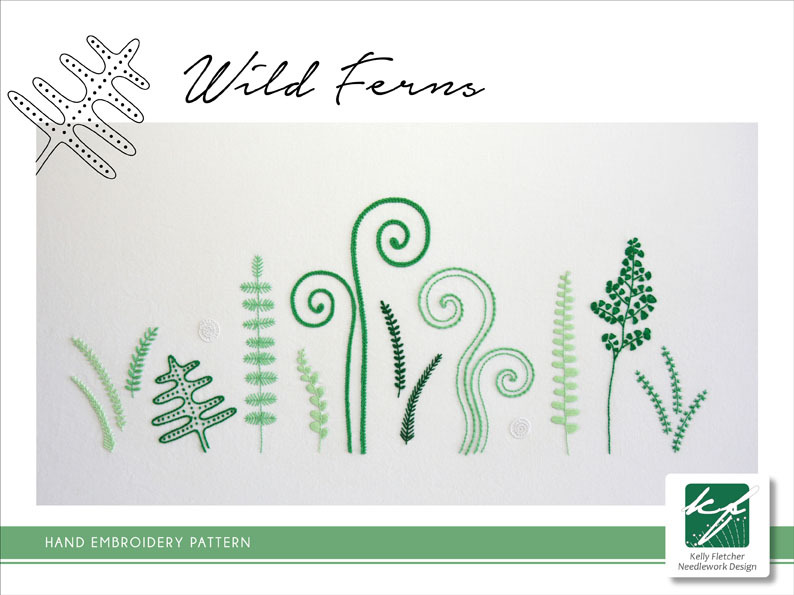 Some of the sketches for my Wild Grass and Wild Pods patterns were too “feathery” for those patterns, and so the idea of a third design of ferns came about. 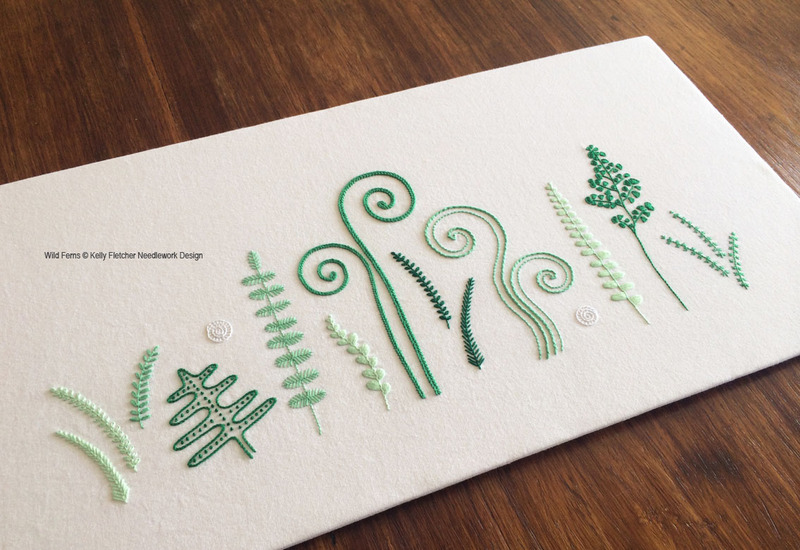 The tendrils and fronds in bright emerald greens made more and more of an impact as I embroidered – it was the first time I’d used these particular greens and I have to say I’m really rather pleased with how Wild Ferns turned out. 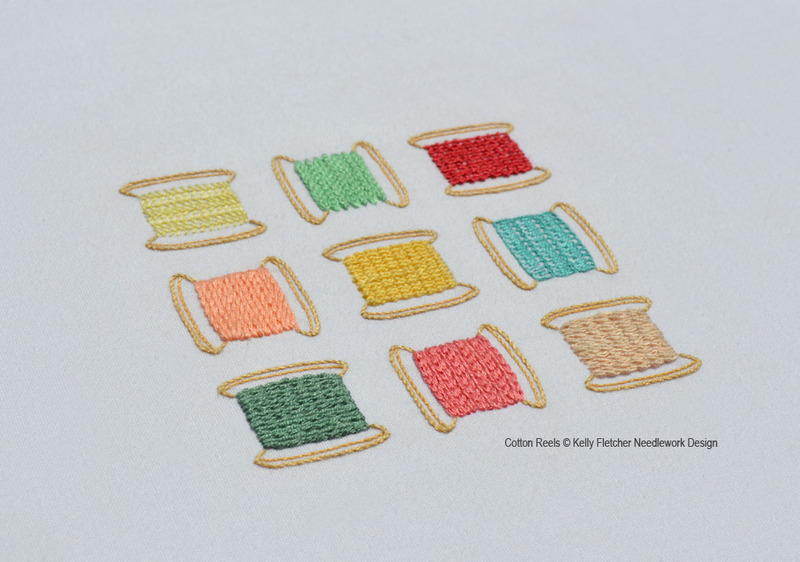 And now there’s a neat set of three, to use on rectangular cushions, as wall art or embroidered on to a set of café curtains, perhaps. 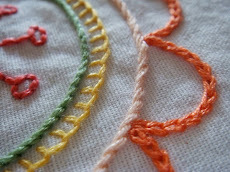 And the colours are really easy to switch by simply matching light for light and dark for dark. 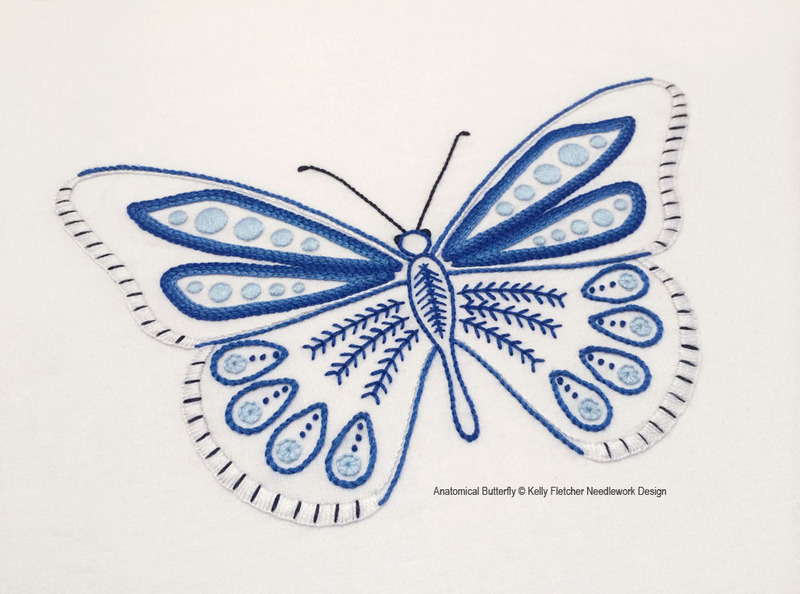 There are some nice new stitch ideas in this one, too, so if you’re keen to give it a try you’ll find the pattern as an instant download on Etsy and Craftsy. 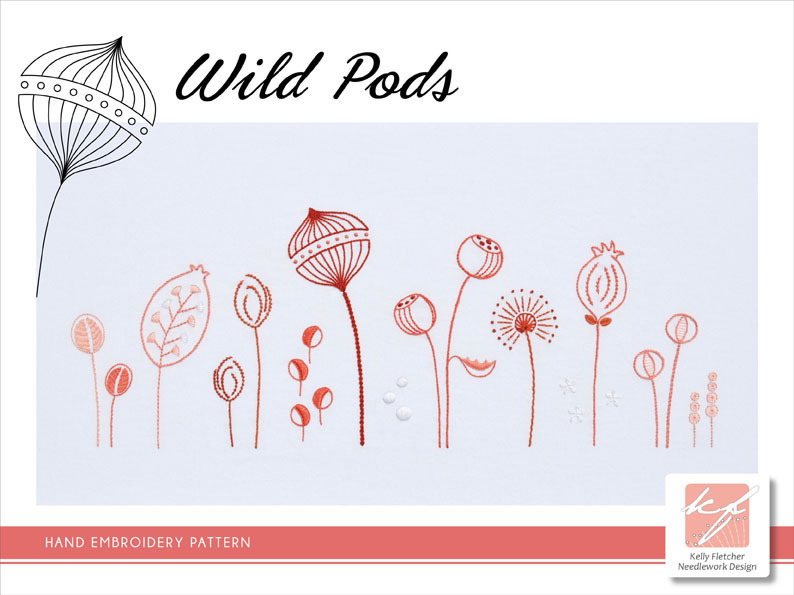 The sketches for some of the pods in this design had been sitting on a folded up sheet of paper stuck into the back flap of a sketchbook for almost five years, waiting for the right design idea to come along. 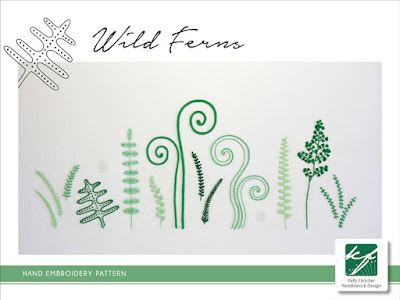 That idea came along around the same time as my Wild Grass pattern – some of the individual plant ideas were too pod-like and branched off on to a separate page that fitted well with the older sketches. 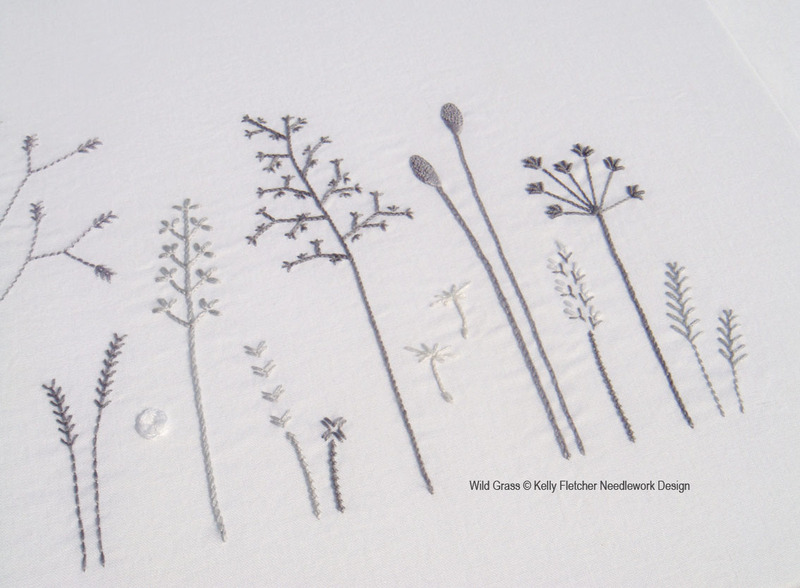 I loved the horizontal layout of the grasses and so created Wild Pods to the same dimensions. 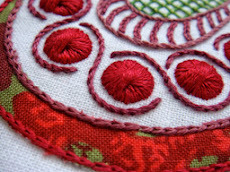 Some of the colours used in the pattern – the rusty reds – I’d not used before. 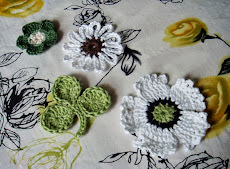 And two or three of the stitch ideas were also new to me, fortunately they all worked out according to plan. Like Wild Grass, the variety of stitches in Wild Pods kept the embroidery fun and interesting to do. 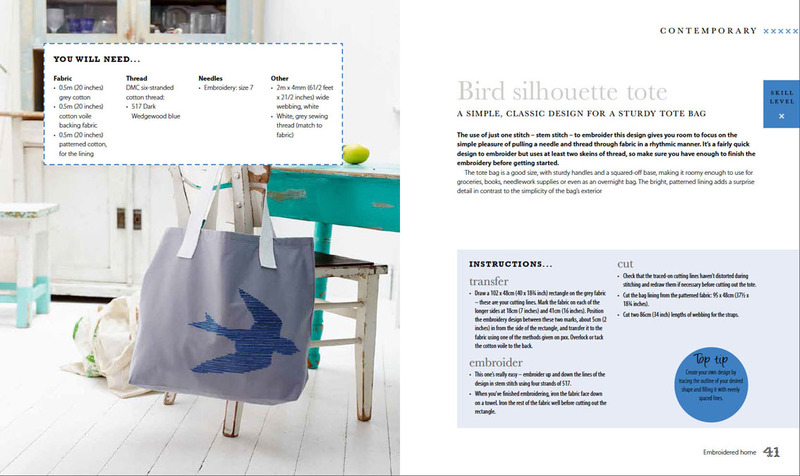 And the finished work stayed true to my aim of a fresh and modern design in slightly unusual, but striking colours. 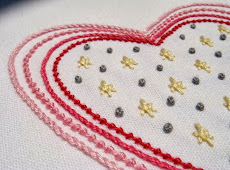 It's a good pattern for stitch lovers and is available as an instant download from Etsy or Craftsy. The idea of creating texture using various embroidery stitches had been on my mind for a while and I was just waiting for the right design idea to pop into my head, when I realised it had been staring me in the face the whole time. There’s a bowl of vintage wooden spools of sewing cotton on the bookshelf next to my desk, which I’ve picked up in various charity shops and thrift stores over time. 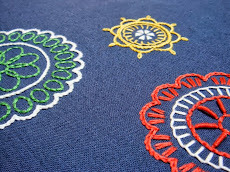 They’re perfect for holding textured “thread” and small enough to do multiple versions in a single design. I love the reels worked in a grid pattern – you could repeat the grid to experiment with even more thread texture – but you could also rearrange them to create a border or use one as a single motif with your favourite stitch. 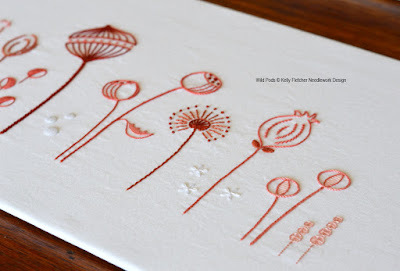 If you're keen to try your hand at creating texture, this pattern is a good starting point. 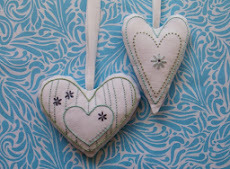 It's available as an instant download on Etsy and Craftsy. 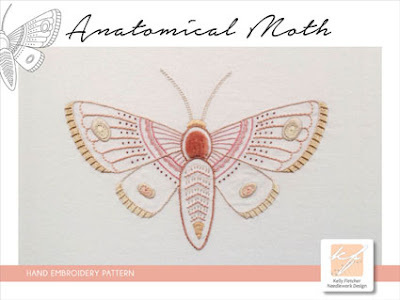 I’ve had a rough idea of a moth on the backburner for a few years now – it lends itself really well to surface embroidery stitches and I knew from the start that the thorax had to be fluffy because of their textured, powdery bodies and wings. It gave me a good starting point for the rest of the textured stitching detail on the wings and feelers. 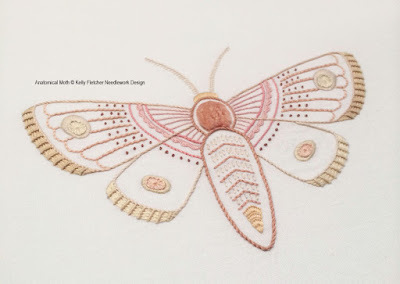 Similarly, I’ve wanted to use this collection of muted, almost antique-looking thread colours in a design for a while now, and they sprang to mind as soon as I started working on the moth. 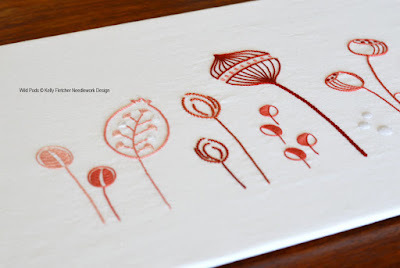 They feel well-suited to the anatomical nature of the design. The moth was a natural fit with my small collection of existing Anatomical designs and so I though I should add a butterfly to the range at the same time – a duo of winged creatures. 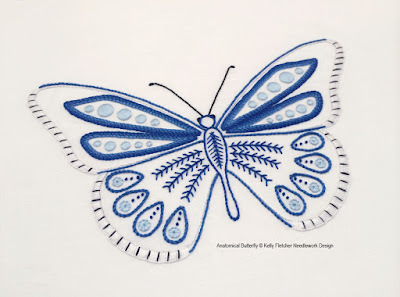 The Brenton Blue butterfly from Knysna along South Africa’s southern coast inspired my thread colour choices and I experienced a small thrill of satisfaction when my idea for stitching the black and white edges of the wings worked out as I’d envisioned on the first try (this definitely isn’t always the case). 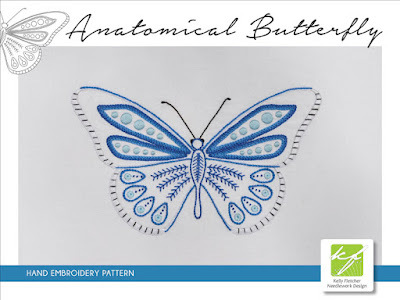 There are a nice variety of stitches in both designs and you can see how to do them all in either my Stitch Directory or on my Stitches board on Pinterest. 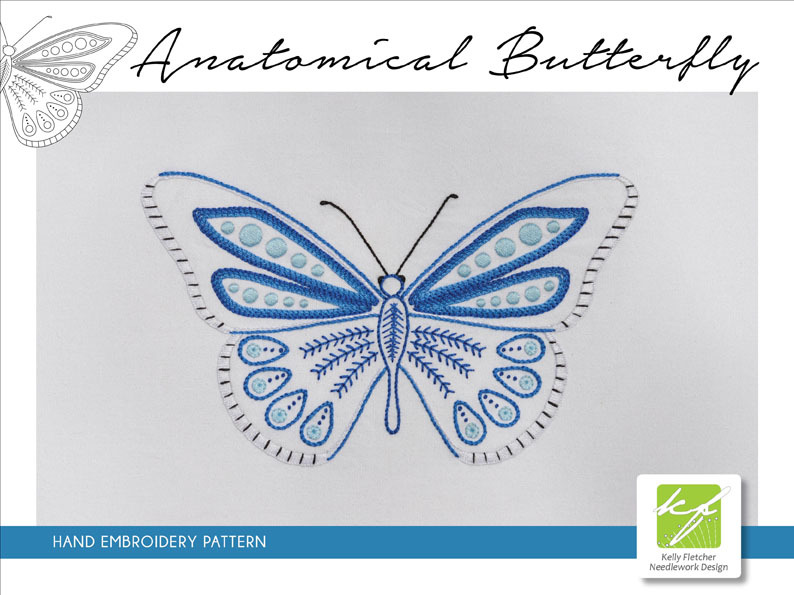 The two new patterns – as well as my three other Anatomical designs – are available in my online shop on Etsy and Craftsy as instant PDF downloads. My mom and stepdad moved to the country full-time a few months ago, although we’d been visiting the house with them for about two years already. 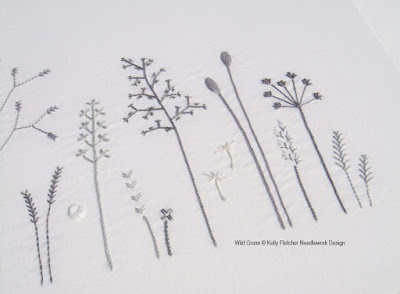 There are lots of walking paths criss-crossing the area, so I’d gathered a collection of shots of the different wild grasses that grow alongside these pathways through the seasons. While the grasses in this pattern aren’t true to the real-life versions, those photos sparked the sketches that then became the design. 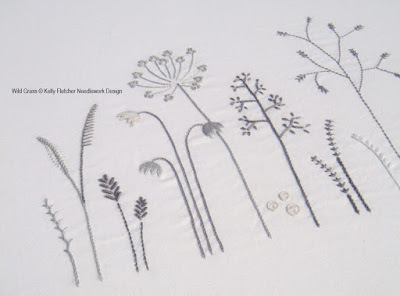 As with almost all my ideas, the stitches come first and so the details have been worked out to accommodate a variety of textural hand embroidery stitches – cast-ons, bullions, knots and so on – rather than depict the individual grasses as they appear in nature. The overall effect is remarkably similar though. 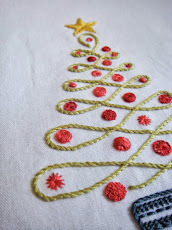 Using a variety of stitches helped me steer clear of potential boredom while sticking with just a few thread colours. 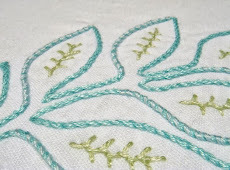 (In fact, this design was particularly fun to stitch.) 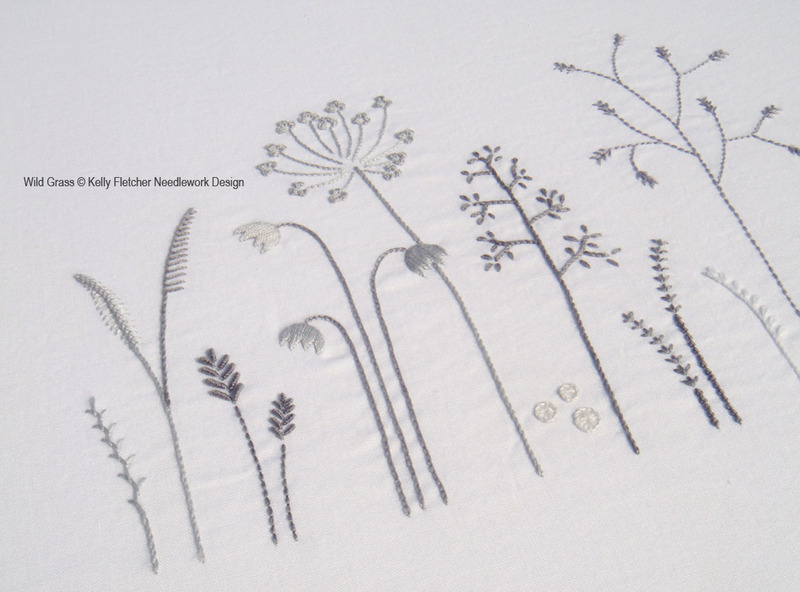 And using shades of grey and white rather than traditional browns and greens gives the embroidery a fresh, modern feel. 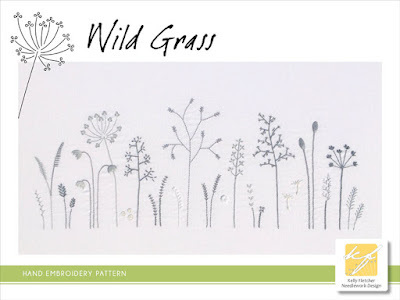 It’s a classic design that’d work well framed as wall art or sewn up into a rectangular feature cushion for a living or bedroom. 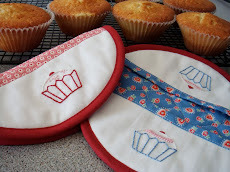 And it’d be easy to replace the colours to suit your taste. 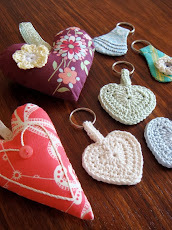 You’ll find the pattern as an instant download in my online shop on Etsy and Craftsy. 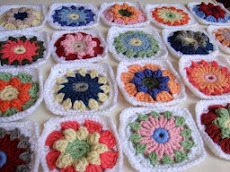 Or you can visit my online pattern shops by clicking on the page tabs up top. Feel free to link to anything on Materialistic, but please check with me before reproducing any of the content on this site. 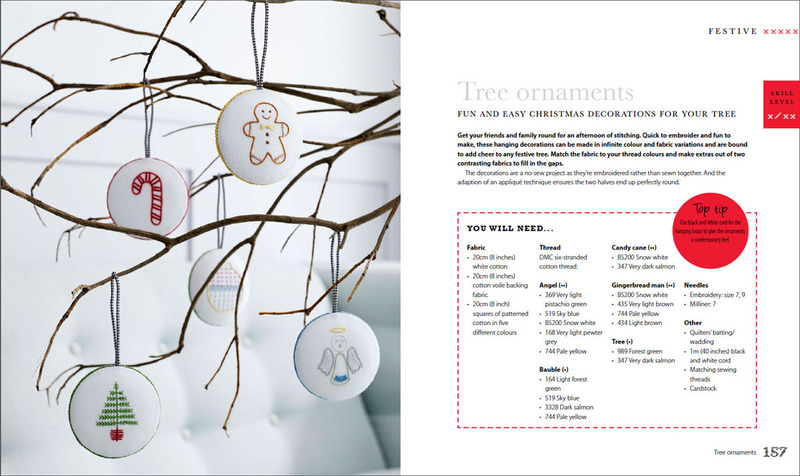 You're welcome to pin from here to Pinterest.